Because both OSA and diabetes present many of the same symptoms, untreated OSA can significantly aggravate diabete’s risk factors if the OSA is left untreated. Fortunately, there are paths to a diagnosis and a variety of OSA treatment options available that can alleviate symptoms and potentially save lives for those suffering from OSA and diabetes. Individuals most affected by OSA include those who sleep on their backs and/or are obese, middle-aged, and male. 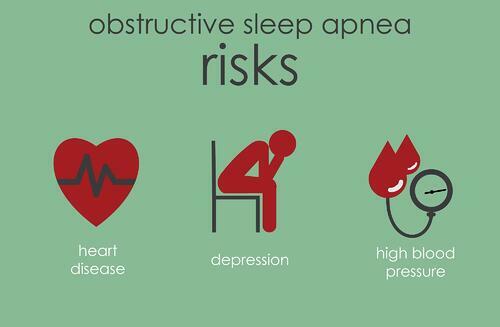 OSA is the most common type of sleep apnea. To diagnose OSA, an individual must exhibit the presence of sleep-disordered breathing and other symptoms of sleep disruption. A sleep study can be performed to detect these conditions and officially diagnose OSA. Approximately 12-18 million people in the United States alone suffer from OSA. Furthermore, recent studies indicate that up to 50% of individuals with OSA have type 2 diabetes. In conjunction, approximately 50% of those with type 2 diabetes have moderate to severe OSA. The connection between OSA and diabetes has been a known relationship since 1981. A study conducted by PJ Rees concluded that a large percentage of those with diabetes had high incidents of sleep breathing disorders. In the past twenty years, studies have continued to prove prevalence in both OSA and diabetes. The unspoken implication of this research may be that weight control can play a significant role in preventing both OSA and diabetes. In plain terms, many people who struggle with OSA have health risk factors (Syndrome X) that are very similar to people diabetes. 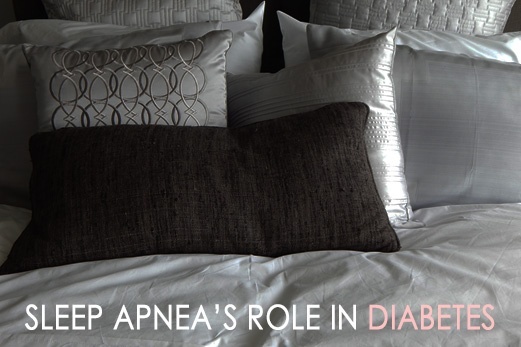 Due to the fact that obstructive sleep apnea is so often present in an individual diagnosed with diabetes, diabetics who are experiencing possible symptoms of sleep apnea are highly encouraged to get a sleep study. The Anchorage Sleep Center provides comprehensive sleep studies that can help diagnose a sleep disorder which could be aggravating diabetic symptoms. To read more about types of in-lab sleep studies, the process of a sleep study, and what happens afterwards, read our post on what to expect during a sleep study. Scheduling a sleep study could lead to life changing treatments that could improve insulin sensitivity and alleviate symptoms of OSA, diabetes, and ultimately improve quality of life.